With so many benefits it's easy to see why people choose aluminium framed bi-fold doors. It's a naturally strong material so apart from the doors being secure they are also resistant to flexing or warping, no matter what the weather is like. Frames are finished in a high grade powder coating which is scratch resistant and smooth to the touch. With slim sight-lines your view of the outside is undisturbed. You can see some examples in our Patio Doors, French doors and bi-fold doors gallery. Unlike wooden or uPVC bi-fold doors, aluminium bi-folds wont expand or contract when the temperature outside changes. The powder coating eliminates the need to ever having to re-paint or touch in chips or scratches. So not only are they thermally efficient they are cost and time efficient too. At Windowman our preference is to supply and fit bi-folding doors from Origin. This is due to the extremely high quality and choice Origin offer. 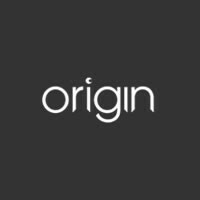 Origin is the UK's leading specialist manufacturer of aluminium bi-folding doors. Designed and manufactured at Origin's impressive Buckinghamshire factory, each and every door is bespoke and available in a huge variety of opening bi-fold configurations. Exceptional care is taken in the design process to ensure durability and long-term performance. Only ultra-high quality components, specially designed by Origin, are used in an Origin door. Every team member is a skilled craftsmen and takes pride in creating the best bi-folding doors money can buy. Click here to download an Origin brochure. 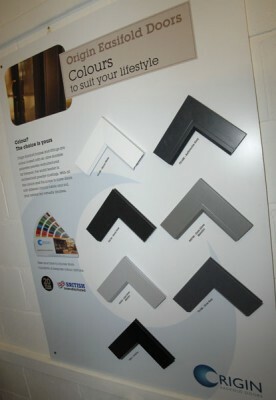 Origin give you a choice of over 150 shades to choose from along with the more contemporary black, white or grey options. You can even go for a dual-colour option and wood-grain finishes. No matter what you're looking for we're sure there'll be something to suit your style and colour palette. With the English being what it is you can be assured that an Origin bi-fold door will help insulate your home what ever month of the year we are in and allow the light to shine through. The door has a sophisticated weather-tight seal which ensure the cold weather stays outside and doesn't allow drafts, all helping to keep you warm and cosy inside and reduce your energy bills. For more information please email us or call 01992 558637.